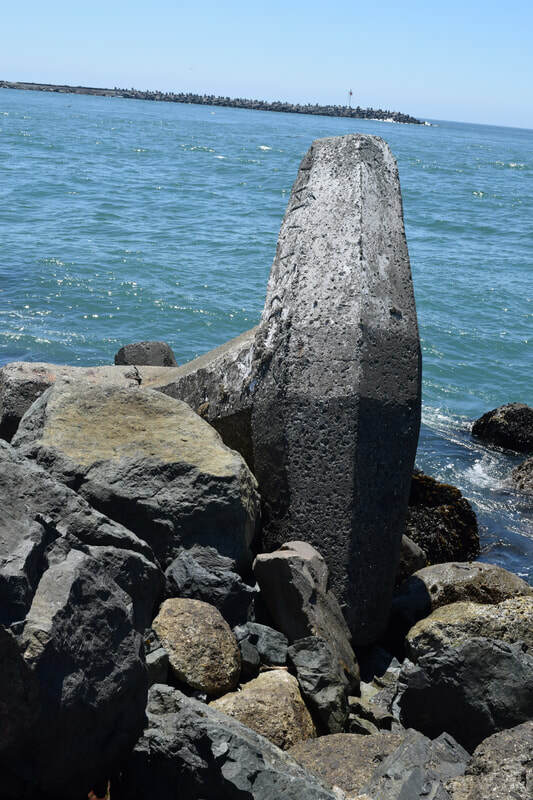 Their installation in Cresent City harbor and Humboldt Bay was the first use of the design in the United States. 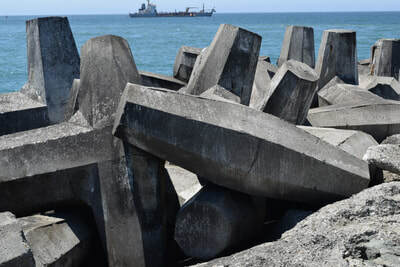 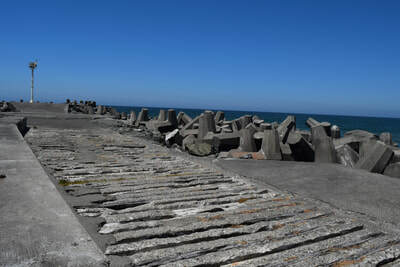 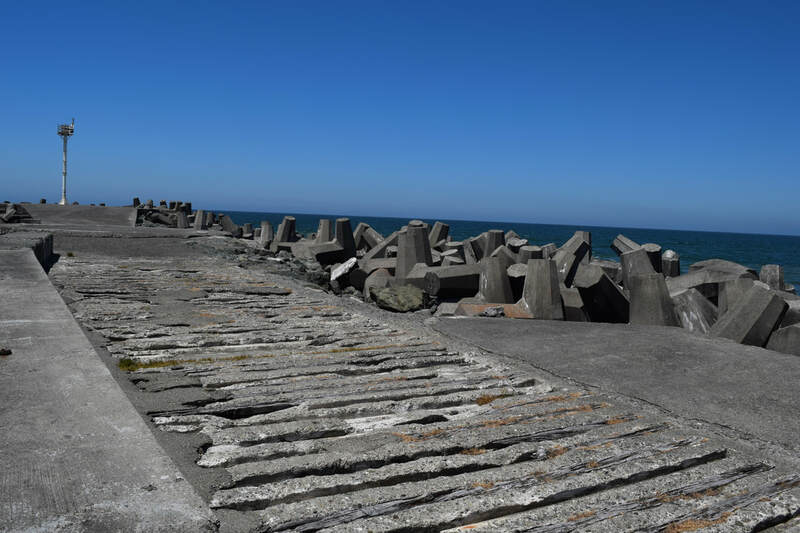 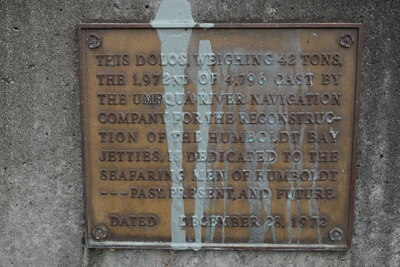 4,785 of the interlocking dolosse were carefully positioned on the ends of the north and south jetty in early 1970's. 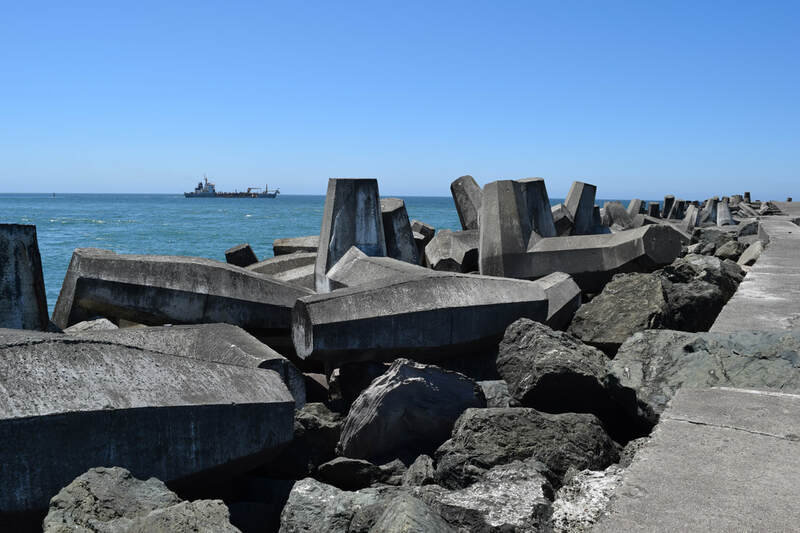 In 1985, 1000 more were added to the jetties. In 1977 the jetties were dubbed a Historical Civil Engineering landmark. South Africa has even honored the design with a 2 Rand coin. Dolosse number 1,972 sits at 2112 Broadway, in front of Harbor Lanes and the old Eureka Chamber of Commerce building. 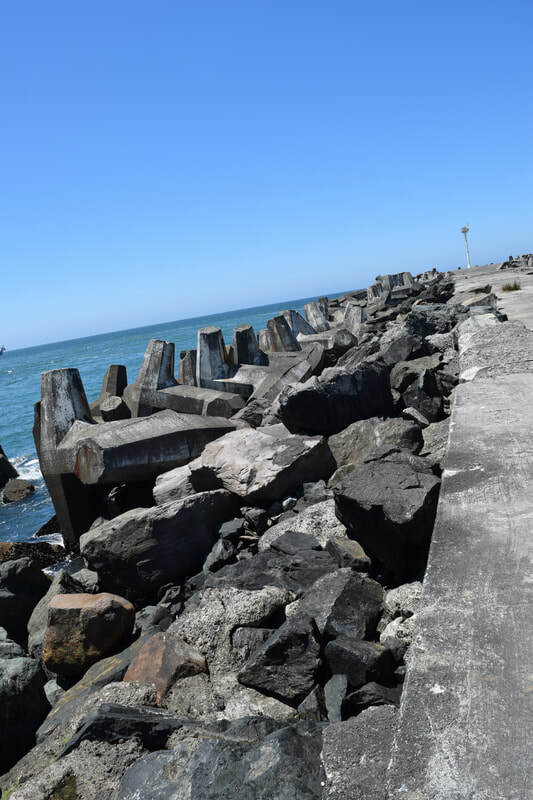 You can also visit the jetties and see the dolosses in place, but avoid the area during stormy weather and always be on the lookout for sneaker waves that can completely cover the jetty.